Survivor spoilers tell us either Dan Rengering and Davie Rickerbacker will make it to the final three. This from a leaker that described an unnamed male that has already found an immunity idol and will again find two more. Viewers have seen both Dan and Davie find idols. But what was recently revealed is that one of these two castaways with possibly make it to Final Three. 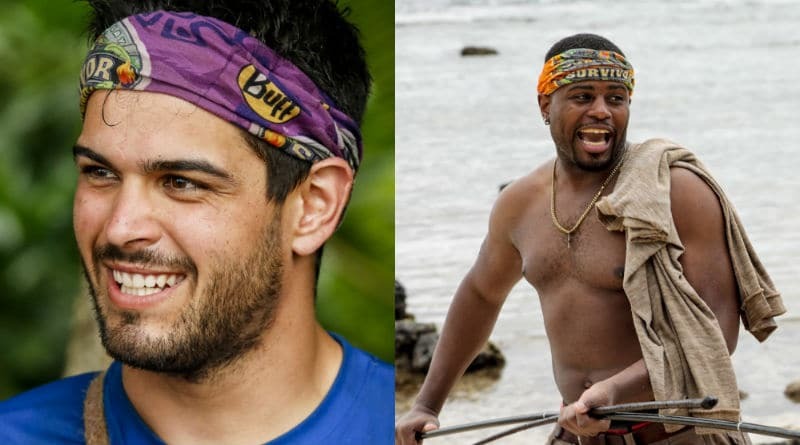 Survivor Spoilers: Final Three For Dan Rengering? The on set leaker has let some things slip, but not everything. It’s been leaked that a male contestant is going to use his immunity idol after another player found it in his bag. That player will make it to the final three according to the on set leak. The leaker could have been talking about Dan Rengering. Viewers have already seen castaway Jeremy find the idle rolled up in a sock inside Dan Rengering’s bag. When Dan will use this idol has not yet been revealed. The last few episodes of Survivor show Dan becoming awfully close with fellow tribe member Kara. With the harsh storms hitting the island, they have only become closer in the hardships. It is possible he may use the idol on her if she were to become a target. Dan: "everybody's all worked up about this idol … and i think it's kind of funny because it's in my pants." Davie Rickerbacker could also fit the leakers description and be in the final three. He has already found his own immunity idol and Survivor spoilers hint he is likely to find one again. Davie was blindsided at the first tribal council for the David tribe. But if he decides to share his information about the idol, he could start to form a strong alliance. Both Davie Rickerbacker and Dan Rengering have proven themselves to be willing adversaries very early in the game. They both knew to look for an immunity idol discreetly and quickly as to not let on what they were looking for. This speaks a lot to their gameplay and their strategic moves and can hint to how far they are really going to go in the game. A lot has happened on CBS’s Survivor that hasn’t yet aired. Another leaker has reported that one male contestant has already quit the show. 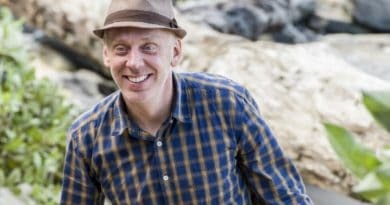 It is to be assumed that Dan and Davie both make it to merge and possibly even farther. There has been speculation that the two tribes, David and Goliath, will switch up soon and merge with one another. Some will go to the David side and others going to the Goliath side. How will this affect Dan and Davie’s information on their idols? 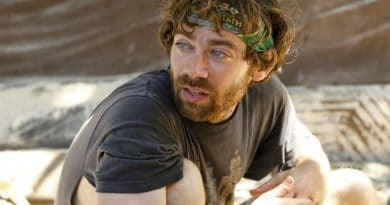 It is already been shown that Dan has shared his Idol information with fellow Castaway Kara but will he choose to share this Vital Information with anyone else? Could Dan Rengering or Davie Rickerbacker be the one to make it to final 3? Come back to Soap Dirt for all of the latest Survivor spoilers and reality news! 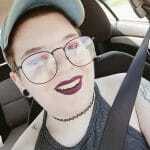 ← ’90 Day Fiance’ – Jesse Meester’s Head Swells as the ‘Bigger Person’?